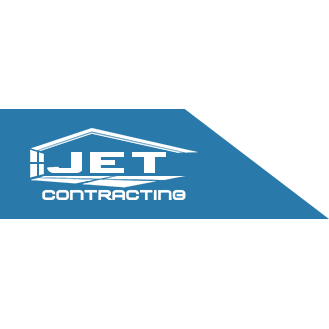 JET Contracting is a locally owned and operated business that believes in delivering quality products and top notch service. Offering over 20 years of combined Roofing experience, there is no job too big or too small. Roofing Contractors - Athens GA Experts you can trust for roof replacement, roof repairs, and storm damage repairs How to Know When It’s Time to Call a Roofing Contractor Your roof keeps everything you value safe and dry. But, when your roof starts showing signs of age or it’s been damaged, you’ll know the time is right to call a roofing contractor. Ignoring problems with your roof will result in higher repair costs and unnecessary headaches. You should get a roof checkup when you see indications like these:  shingles that curl up at the edges  moss or mold growing on the shingles  flat spots on the shingles where the surface has worn off  cracked shingles  the roof line is sagging  water damage is showing on interior walls or ceilings You can’t see many roofing problems from the ground. That’s why we get on your roof to do a complete inspection before recommending a solution. Some repairs are easy and cost effective. Sometimes, another repair isn’t going to keep your roof from causing headaches down the road. At Jet Contracting, we provide outstanding customer service. In fact, we’ve earned an Elite Service badge on HomeAdvisor. That means our customers love the service we provide, and would recommend us to others. To maintain that reputation, we’ll be honest with you about whether you need a repair or replacement. Once you understand the alternatives, you can make an informed decision. We’re licensed and insured roofing contractors, having passed all the exams required by the State of Georgia. We’ll always give you an estimate after an inspection, and we’ll always obtain a building permit when necessary to ensure that local inspectors approve your roof because it meets building codes. After we start work, we sometimes find problems that weren’t visible during the inspection. If that happens, we’ll explain the problem and get your advance approval to complete the additional work to fix it. Our crews work fast, safe, and do things right the first time. Total Roof Replacement If your roof needs to be replaced, you’ll have peace of mind because you’re working with master roofing contractors. We use a variety of both asphalt shingles and metal roofing materials. You can choose the materials that will provide you with a long lasting and high quality roof that enhances the look of your home. Besides keeping your home safe and dry, a new roof improves your home’s curb appeal, increases your home’s resale value, and is typically more energy efficient. No one wants to spend weeks waiting for a roofing contractor to finish a job. We use the right crew sizes to get your roof replacement completed in the shortest possible time. Often, a complete roof replacement can be finished in one day. Replacing a roof makes a mess. We pride ourselves on the fact that when we finish your roof replacement, no one will ever know that we were there. They’ll just be impressed with how much better your home looks with its new roof. Roof Repair The most difficult part of roof repair is figuring out why the roof is leaking. Leaks can be very tricky. Water may be entering your home in one spot, but the water may run along your rafters and become visible in an entirely different place. That’s why you need a professional roofing contractor to detect the leak, keeping you off the roof. Leaks can cause a variety of problems and need to be fixed as soon as they appear. Water damage from leaks can include rotting building materials, creating ugly water spots on walls and ceilings, and promoting the growth of unhealthy mold and mildew. Repairing a small leak may include putting sealant around cracked flashing or replacing a section of shingles. We’ll be careful to make sure the repair is durable, and to match your existing roofing material as closely as possible. Storm Damage Storm damage comes in different forms. High winds can pry shingles off the roof. Hail is the worst danger for your roof. After a bad hailstorm, your roof may not leak, but there may still be damage just waiting to cause problems long after the storm has passed. Don’t be taken in by traveling crews that claim to be able to fix your roof while they’re in your neighborhood. No reputable roofing contractor solicits business from homeowners after a storm. When you call Jet Contracting, we’ll do a complete inspection of your roof to look for storm damage, and we’ll only suggest the solutions you need. If your roof is leaking, you can also take advantage of our emergency roofing services to get your home protected very quickly. When you need a highly rated professional roofing contractor, call us at 770-318-7336. We’ll help you make your roofing problems disappear.